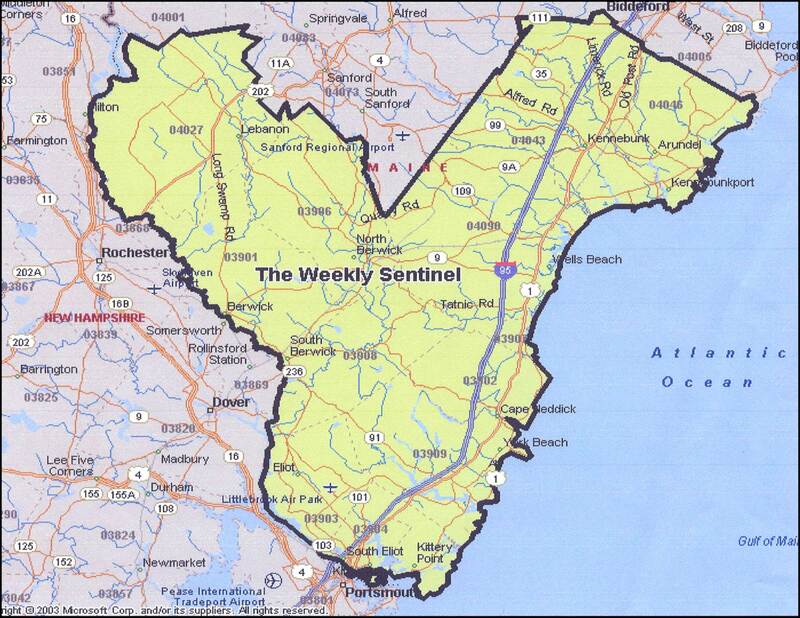 The Weekly Sentinel reaches over 90,000 readers through mail and drop-off distribution. It is mailed for FREE to York, York Harbor, Cape Neddick, Kittery, Kittery Point, Eliot, South Berwick, Berwick, North Berwick, Ogunquit, Wells, Moody, Kennebunk, Kennebunkport and Arundel. If you do not receive the paper in your area, you can pick it up at a Drop-Off Location listed below. If you have left the area for the season or have moved away, you can purchase a subscription to receive the newspaper weekly at your remote location. Below is also an order form just for this situation.